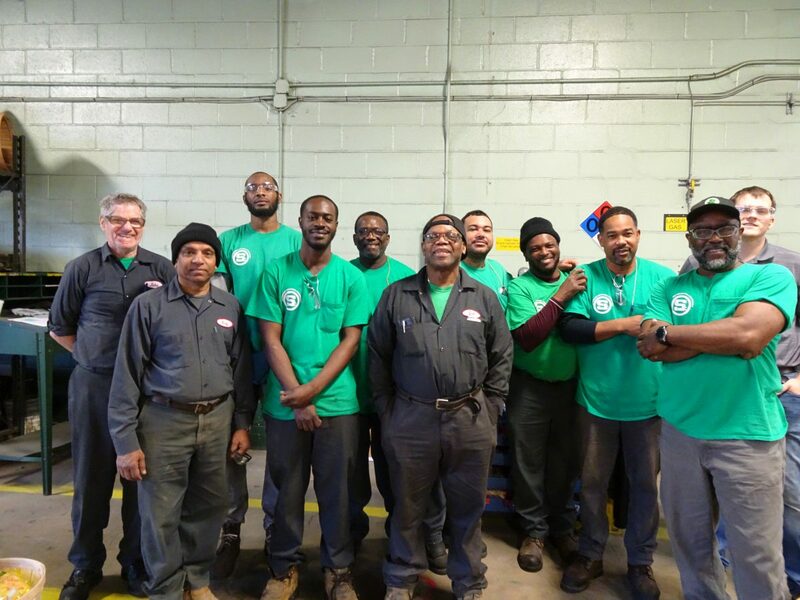 The World Trade Center of Greater Philadelphia (WTCGP) has selected Sandmeyer Steel Company to receive the 2019 Member Company of the Year Award. 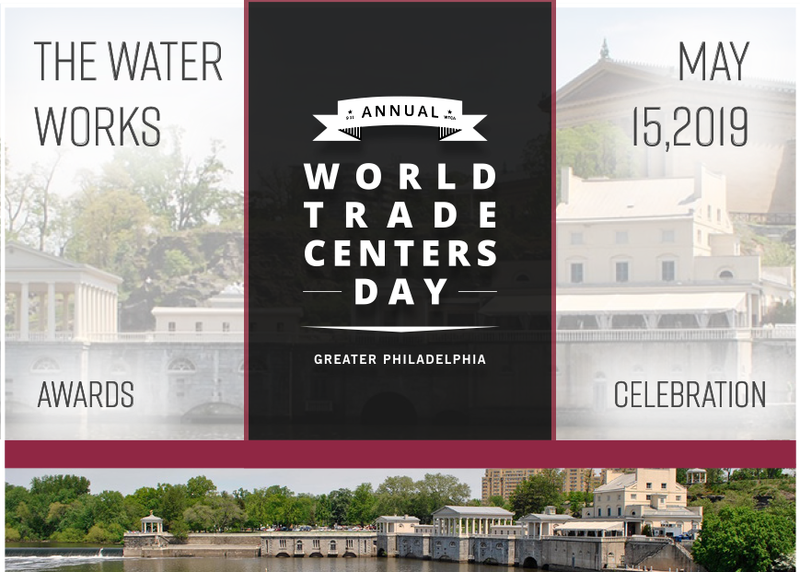 Sandmeyer Steel Company will receive this award at WTCGP 17th Annual “World Trade Centers Day” Awards and Celebration on Wednesday, May 15, 2019 at the Fairmount Water Works, 640 Waterworks Dr. Philadelphia, PA. The WTCGP organizes an Awards Ceremony and Celebration to recognize the global business achievement of outstanding individuals and companies whose contributions have helped to make Greater Philadelphia a world-class region. 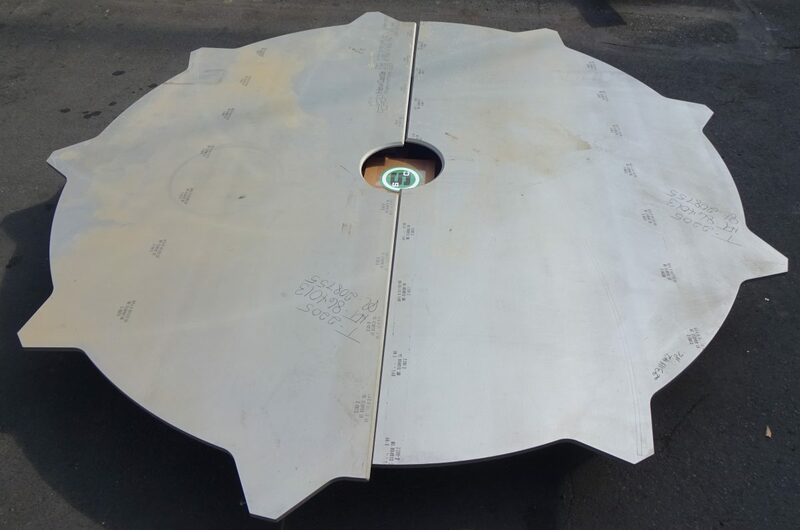 Sandmeyer Steel Company will be adding Titanium Plate to our inventory. Titanium Grade 2/2H Plate in thicknesses 3/16” (4.76 mm) through 3-1/2” (88.9 mm). We bring our expertise in Stainless Steel and Nickel Alloy Plate and Plate Products to the Titanium Market. 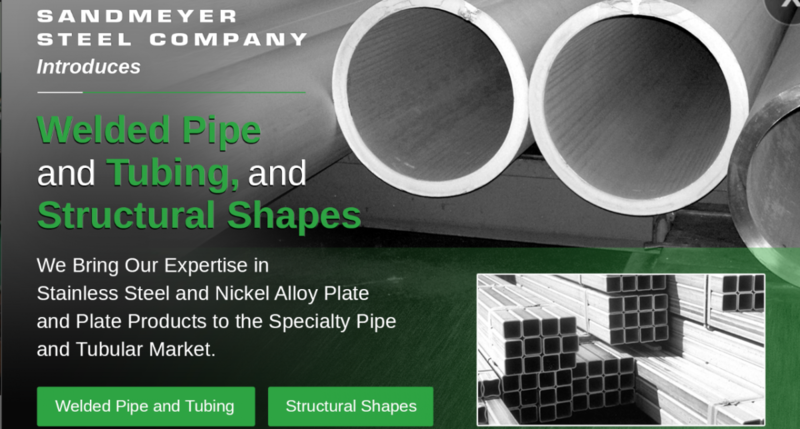 Sandmeyer Steel Company introduces Welded Pipe and Tubing, and Structural Shapes. We bring our expertise in Stainless Steel and Nickel Alloy Plate and Plate Products to the Specialty Pipe and Tubular Market. Visit our website to see what we can do for you. As part of our “Sandmeyer Serves” program of volunteer activity, employees recently donated their time to local organization Kleinlife in Northeast Philadelphia. KleinLife is a vibrant community resource that provides social, educational and cultural programs, and vital health, wellness and social services. Kleinlife also prepares and delivers meals to homebound seniors in the community. 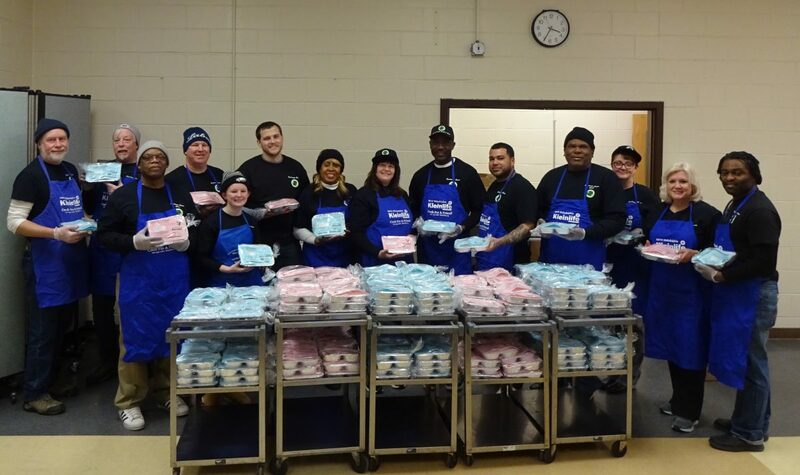 Sandmeyer Steel employees went right to work filling Emergency Dinners and Blizzard Bags, which are filled with the necessities of getting through a snowstorm. Some of our volunteers served 60 seniors that braved the single digit temperatures and came to Kleinlife for lunch. After an extensive tour by John Eskate, Director RSVP Philadelphia and Julie Borsky, Community Service Director, our team went to work on packaging dinners for homebound senior citizens. Thanks to the team for your hard work and to Kleinlife for the opportunity to do service! Sandmeyer Steel Company would like to wish our employees, retirees, our customers, our vendors and their families a Merry Christmas and a Happy New Year. This year Sandmeyer continued its Christmas tradition of providing every active employee a holiday basket which includes a Turkey or Ham with all the trimmings including dessert. Although Sandmeyer will be closed from December 21st, 2018 through January 1, 2019 for the Christmas Holiday, we have 24 hour service available for all your Stainless Steel and Nickel Alloy Plate needs. Sandmeyer Steel Company would like to wish our employees, retirees, customers and their families a Happy Thanksgiving. 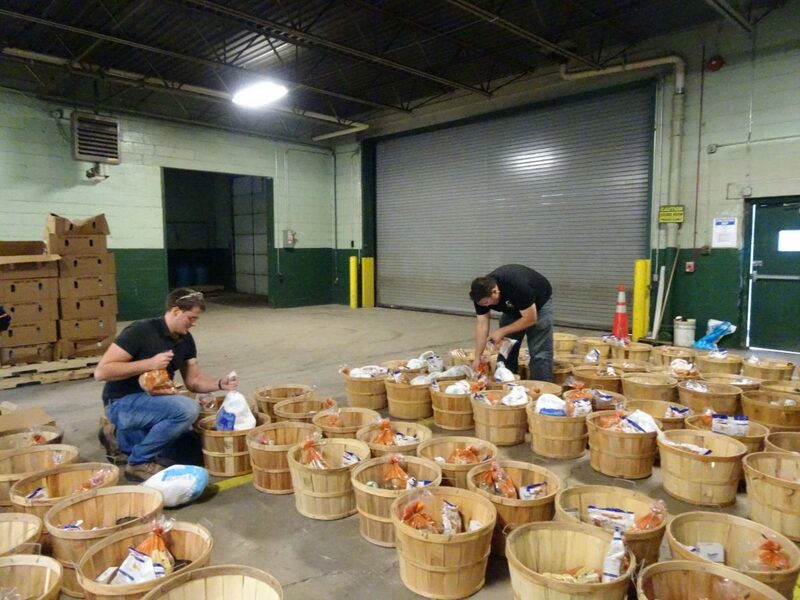 This year Sandmeyer continued its Thanksgiving tradition of providing every active employee a holiday basket which includes a Turkey or Ham with all the trimmings including dessert. Although Sandmeyer will be closed on November 22nd and 23rd for the Thanksgiving Holiday, we have 24 hour service available for all your Stainless Steel and Nickel Alloy Plate needs. 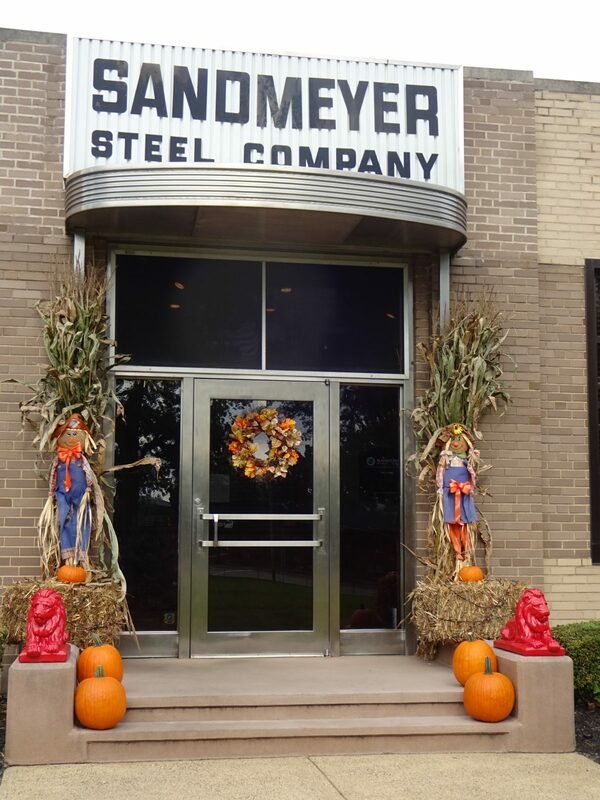 Sandmeyer Steel Company says goodbye to Summer and welcomes Autumn with seasonal decorations. We are in Great Shape! Pieces cut this week on our new Jet Edge Waterjet. What can we cut for you? 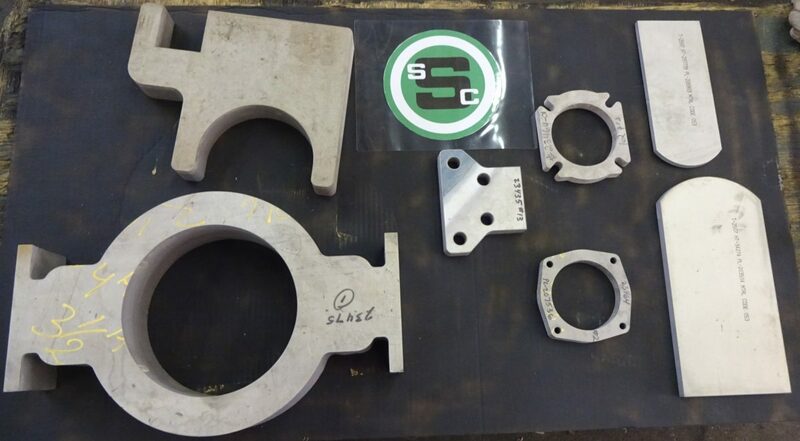 A customer ordered this 3/4” thick 2205 Abrasive Waterjet spilt Impeller with bevels produced on Sandmeyer Steel Company’s Jet Edge Waterjet. The overall diameter is 124 inches. 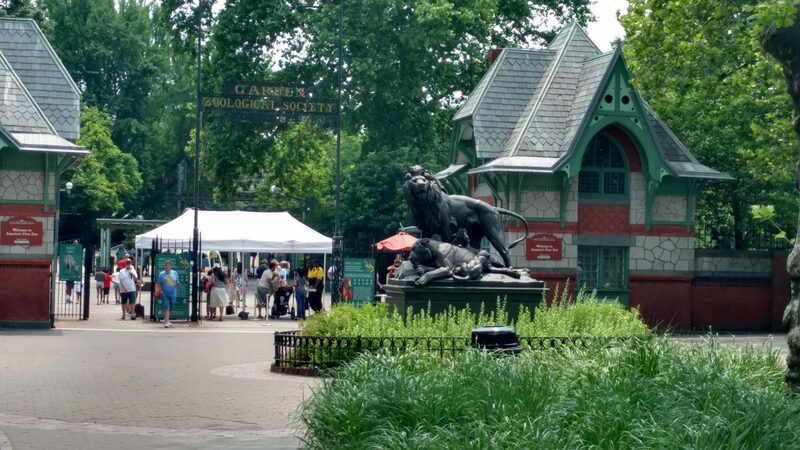 The Sandmeyer Steel Company Family Picnic was held this year at the Philadelphia Zoo on Saturday, June 9th complete with Lions, Tigers and Bears. Employees, Retirees and their families enjoyed eating hamburgers, hot dogs, chicken and of course walking around the Zoo looking at all the animals. The beautiful weather helped make this a great event for employees and their families.